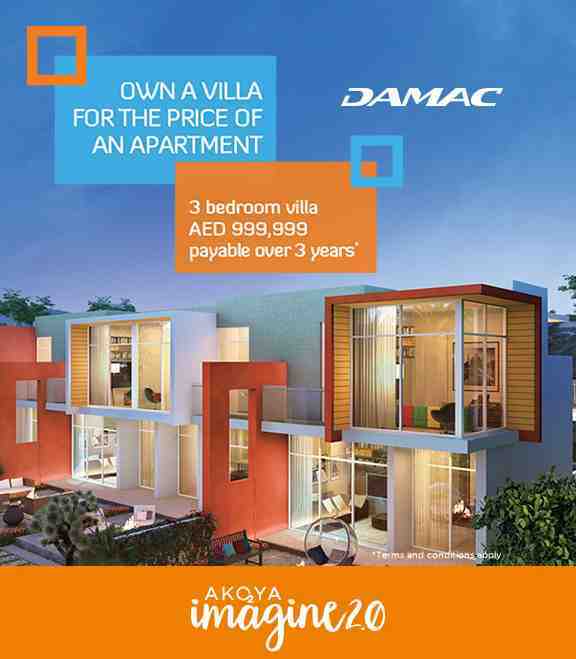 Damac Properties are launching Akoya Imagine 2.0 which offers you the opportunity to invest in a 3 bedroom villa starting from AED 999,000. The villa sizes start from 1,662 sq.ft. The plot title deed is included in the purchase hence your client will own the land on full payment and not only the villa. 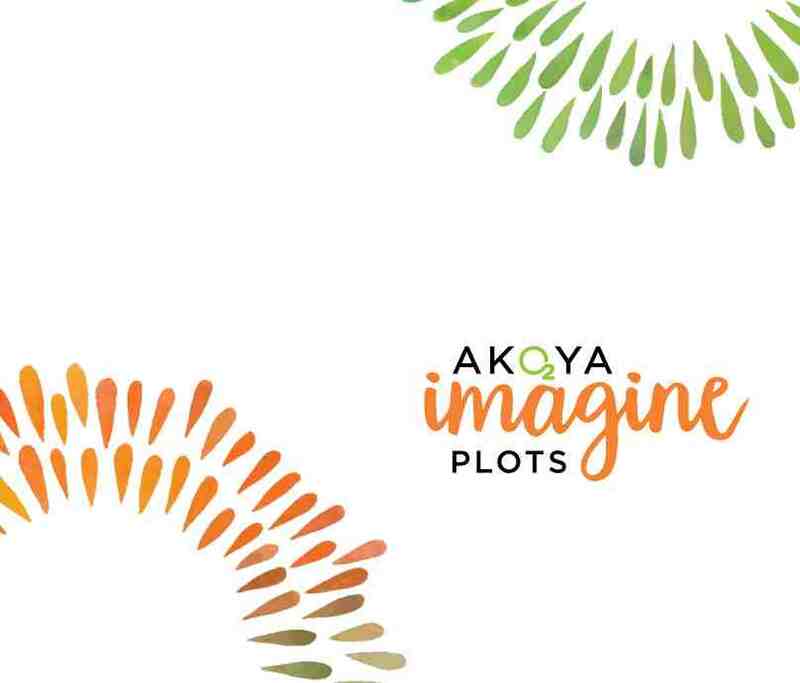 Akoya Imagine Phase 2 Launch- the next launch for Akoya Imagine Phase 2 coming up -Book Your Villas Today ! 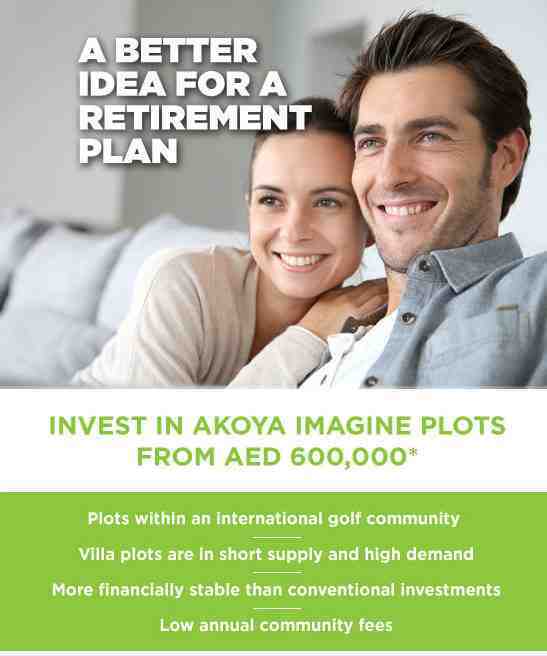 Owning a dream villa in Dubai can be a dream come true and Akoya Imagine commits to fulfill this wish. Damac Group of properties will make sure you get your dream villa in Dubai and live luxurious life at its best. 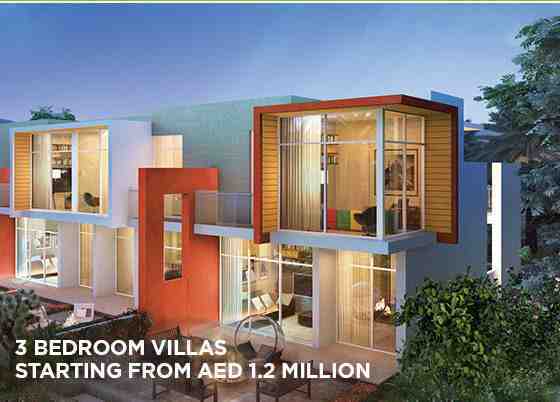 Damac Properties dream venture Akoya Imagine comprises of 3 and 5 bedroom villas which also has a golf community. The prices for these elegant villas start from AED 1.2 million which is payable over 3 years and also has free service charges for 5 years. The project is in its launching stage and expected to be completed soon. The villas come with a large sized golf course, your own private garden where you can enjoy time with loved ones and see the whole world in front of you. 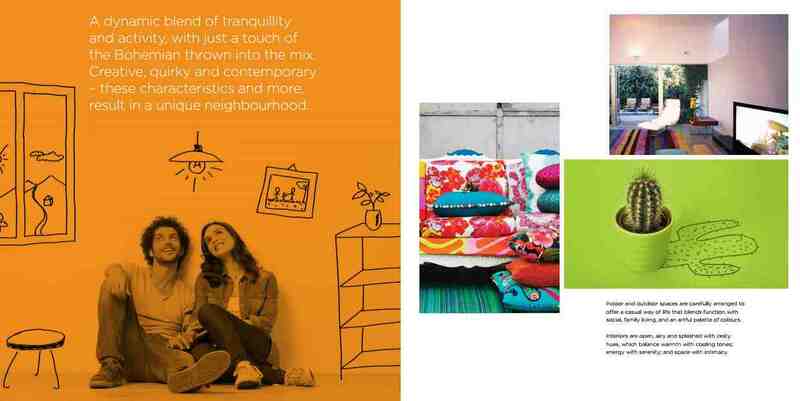 You get covered parking which is exclusively dedicated to you, without sharing your space with anyone. 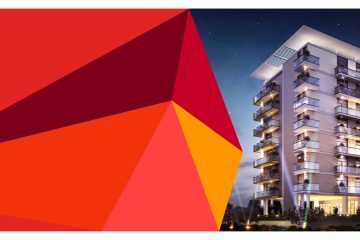 What more, the residents also get access to world class amenities of Akoya Oxygen, which is an amazing experience in itself, privileged for few lucky buyers! The villas surrounded by golf course gives you the feeling of living in resort which you get to live everyday by investing in Akoya Imagine. 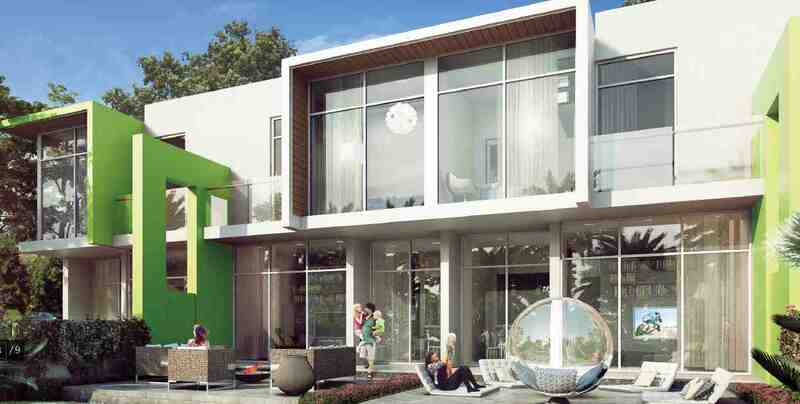 Akoya Imagine is located in one of poshest locality in Dubai, which is considered to be the Beverly Hills of Dubai. It is just minutes’ drive from City Centre along Umm Suqeim Road, which has easy access to all parts of the city. Some of the homes have the best view of Trump World Golf club Dubai. Akoya is the way of living, where you can treat yourself with the best of shopping, dining and entertainment which is inspired by the world’s best promenades. It is based on a 42 million square feet of gigantic land and features world’s best houses from the likes of Fendi Casa and Paramount Hotels and Resorts. 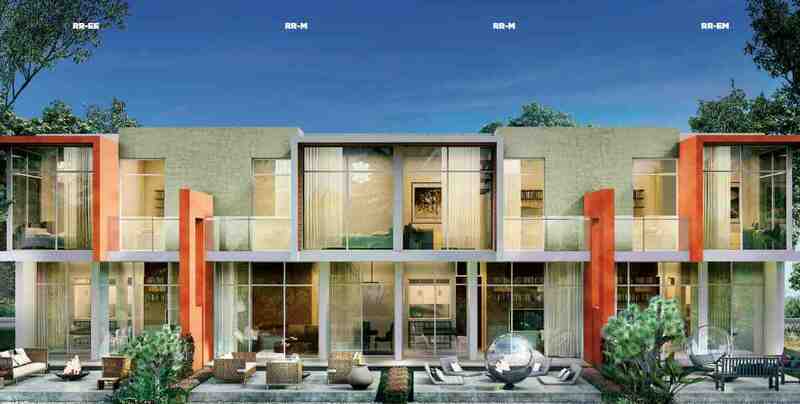 Damac properties, established in 2002, are the finest luxury developers in the Middle East. They have real estate partnership with the world’s best brands like Paramount Hotels and resorts, Tiger Woods Design, and Bugatti which strive to give the best to their customers. The developers have spread their wings in Qatar, Lebanon, Jordan and Saudi Arabia. They are the winners of the international property awards like `Best Golf Course Development for Tiger Woods Design Golf Course at Akoya Oxygen’. Their successfully completed past projects include, The Waves at Dubai Marina, XL Towers – Burj Area Dubai, Executive Heights Dubai, and Lake Terrace – Jumeirah Lakes Tower Dubai among many more. You do not have to step out anywhere in the city in search of finest restaurants and shopping centers, when you have everything you need at your doorstep. Akoya Imagine is a place where you can feel safe with your children, a unique community where you feel your life is complete and this is where you want to stay your whole life. 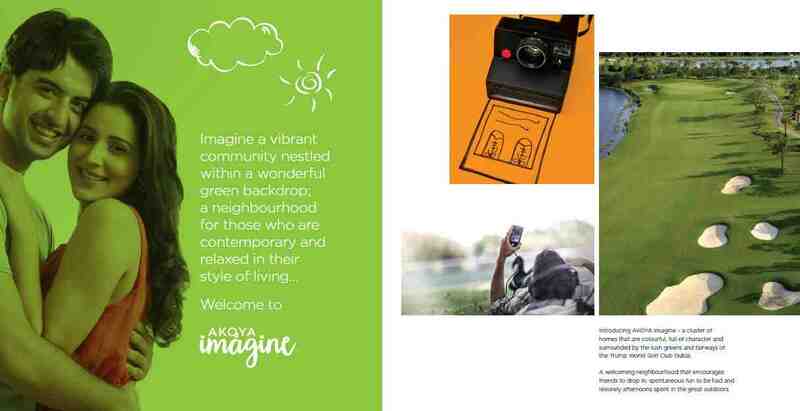 Akoya Imagine is the ideal destination for your life who wants contemporary and relaxed life at their terms. 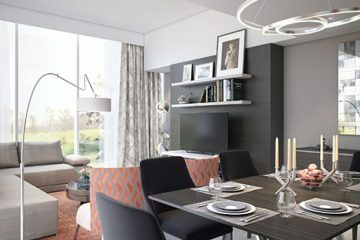 Its is a completely new project within Akoya Oxygen destined for the millennial, for the new couples and for the young families that shall be the part of Akoya Oxygen Dubai. 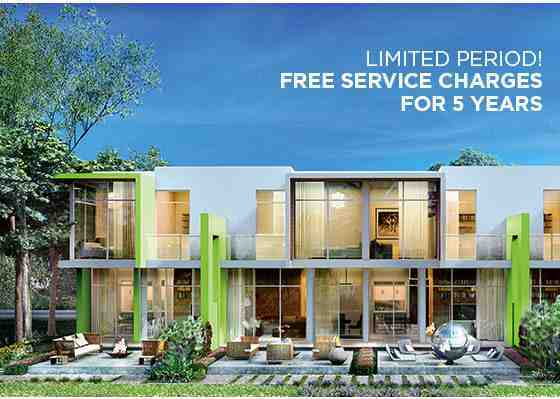 Its 3 bedroom villas with a price starting from AED 1.2 million.LAUNCH DETAILS of Phase 1 – limited units available, July 9th, 2016 (Saturday) .INTRODUCTORY SPECIAL PROMOTION:“5 YEAR – FREE COMMUNITY CHARGES” where the esteemed property owner shall have to pay Zero Community Charges for 5 years. Akoya Imagine 2.0 For more details Please fill the form below with your details . 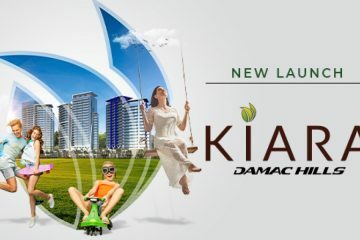 Damac AMORA Golf Verde CALL+919958959555 Damac AMORA Golf Verde Creating quality & luxurious living spaces. Freehold Properties. World-Class Properties. Easy Payment Plans. Buy Direct From Developer. Luxurious Locations. Prime Location Properties. Off-Plan Investments. 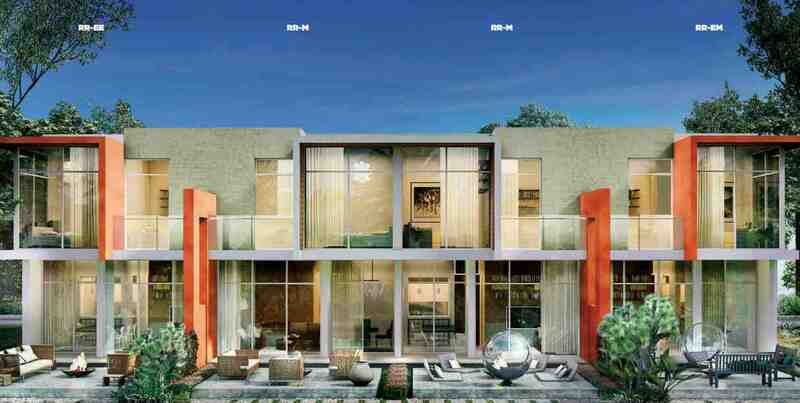 Damac AMORA Golf Verde CALL+919958959555 School, Cineplex, hospital, retail area, park are just in walk able distance. Completion is December 2019.